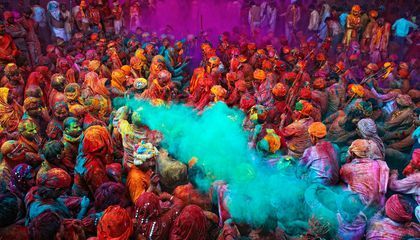 Gajan is a Hindu ritual of Eastern India. This is very famous mostly in state of West Bengal. 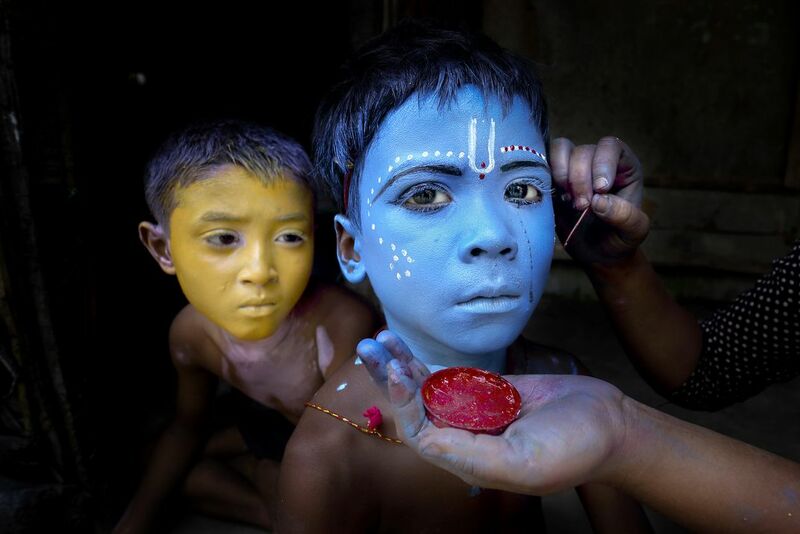 Two little kids are being painted like the Hindu god & goddess (Krishna & Radha) during the ceremony. Date Uploaded: Aug. 7, 2017, 1:20 p.m.